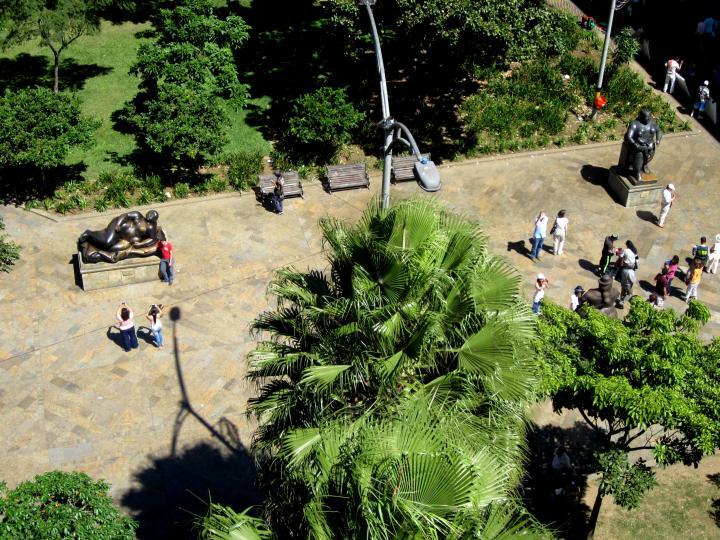 Plaza Botero is located in the central neighborhood of La Candelaria in Medellin Colombia – between the Museum of Antioquia and the Rafael Uribe Uribe Palace of Culture. 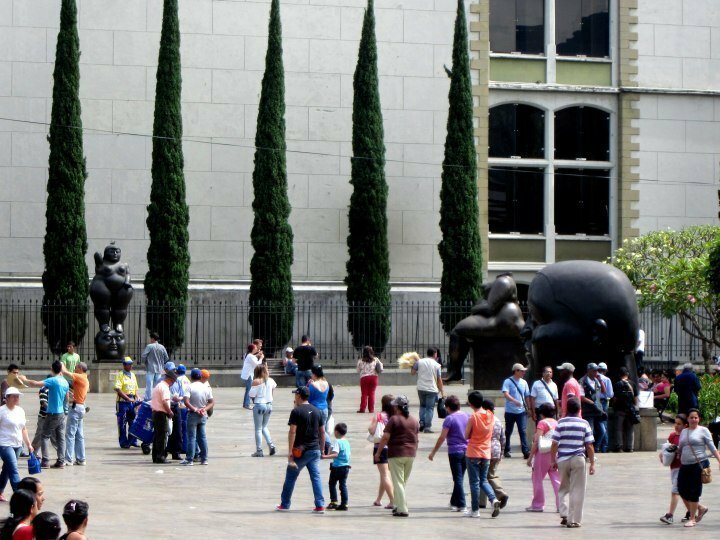 During daytime hours the plaza is filled with tourists posing with and rubbing their hands over the large-scale bronze statues by the famous Colombian artist Fernando Botero. 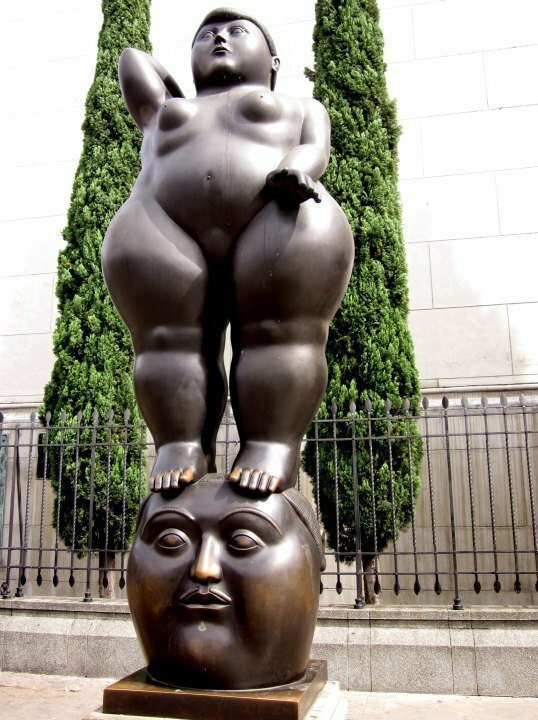 In 2002 Botero donated the 23 sculptures to the museum. Notice his signature style which depicts people and animals in large, exaggerated size. 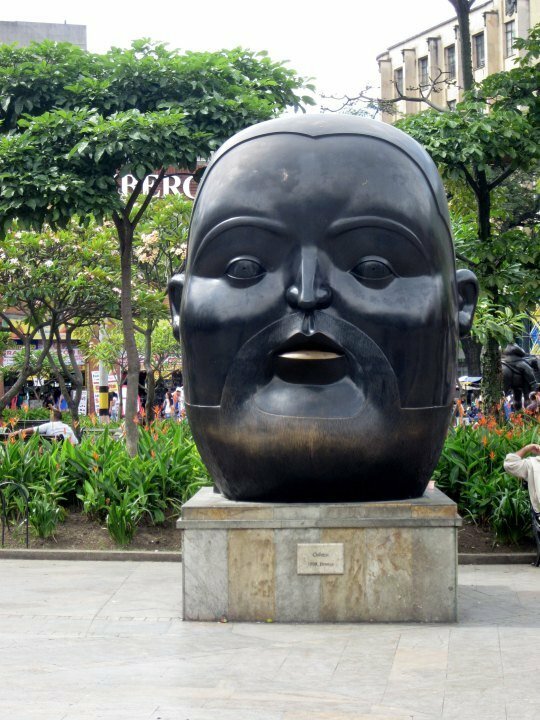 During one of my visits to the Plaza Botero I wandered around the neighborhood a little, advisable during daytime only. Afterwards I ate lunch at the restaurant at the Museum of Antioquia across the plaza, sitting outside and enjoying the people watching. 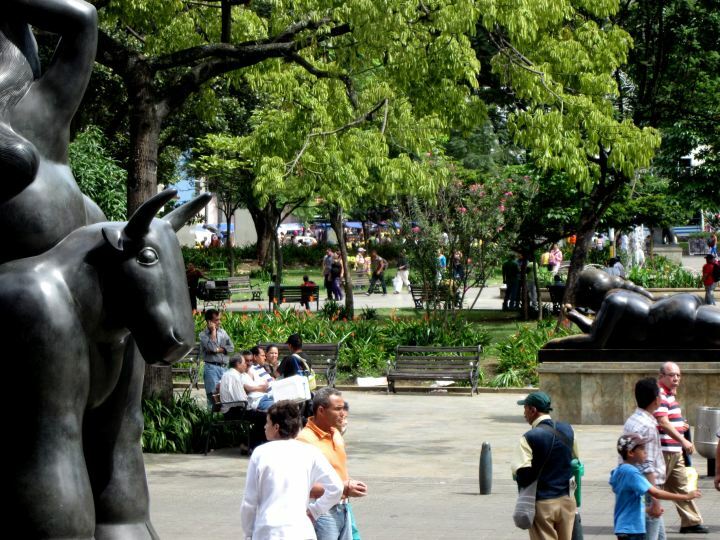 A great way to spend a morning is to visit the Plaza Botero and the Museum of Antioquia. Next, enjoy lunch at the museum restaurant. Follow up with a visit to the Rafael Uribe Uribe Palace of Culture on the other side of Plaza Botero. 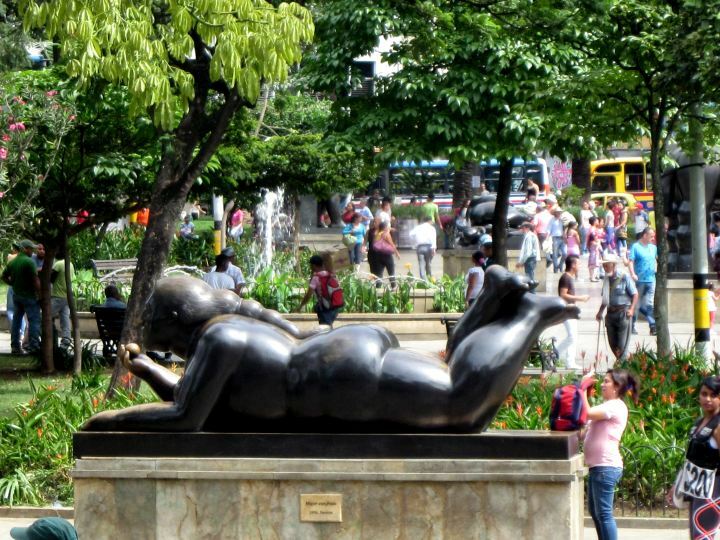 You will find Plaza Botero is a magnificent outdoor art gallery in the heart of the city of Medellin Colombia – one of my favorite cities in the world.